Dr. Seuss is one of the most popular children's book authors of all time, writing more than 60 titles that spawned a number of television specials, movie adaptations, and Broadway musicals. 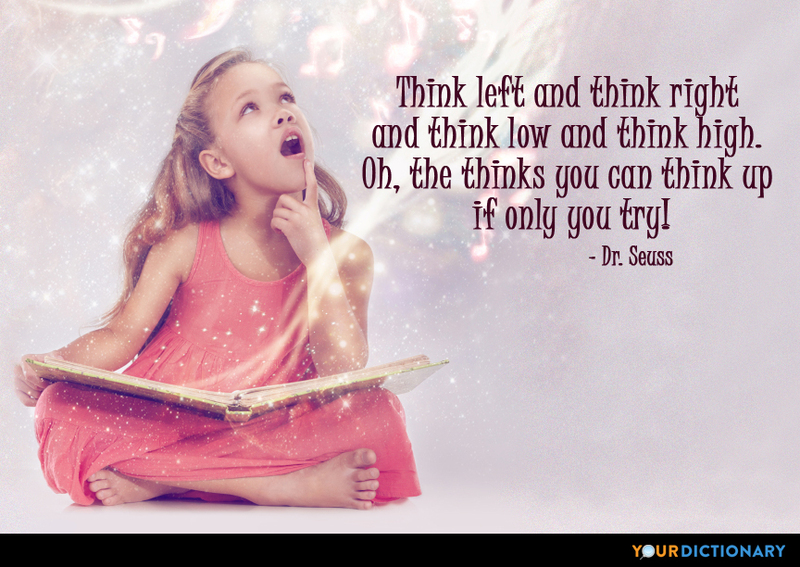 Today, Dr. Seuss quotes remain a source of inspiration and wisdom for both children and adults alike. A common theme in Dr. Seuss books is the idea that just one person can make a difference. In The Lorax, for example, Dr. Seuss speaks out about the dangers of corporate greed when it comes to destroying the environment. "Unless someone like you cares a whole awful lot, nothing is going to get better. It's not," he writes. The idea that hard work and perseverance are the key to reaching your goals is another popular topic in Dr. Seuss's work. For example, the book Oh, the Places You'll Go! is often given as a gift for high school graduates due to the quote, "You have brains in your head. You have feet in your shoes. You can steer yourself any direction you choose. You're on your own, and you know what you know. And you are the guy who'll decide where to go." Dr. Seuss’s successful career continues to inspire a new generation of children's book authors, but he stresses that writing is a craft you must learn from trial and error. "You can get help from teachers, but you are going to have to learn a lot by yourself, sitting alone in a room," he said in a 1986 interview with The New York Times. The Lorax book was intended to be propaganda. You're in petty good shape for the shape you are in.